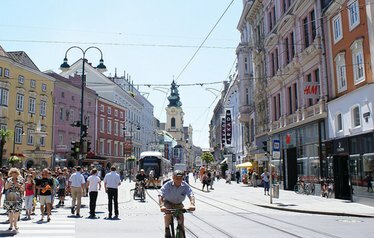 It is not possible to see all of the interesting hotspots of Linz in only two days, however here are some suggestions to help you get started. An ascent of the Mariendom Cathedral steeple (for a sensational view of Linz) or take a guided tour through Austria’s largest church. Only five minutes’ walk from our hotel. Afterwards regain your strength in Café Jindrak (near the Mariendom) with a piece of Original Linzer Torte, the oldest cake recipe in the world. A walk through the city center to the Old City with its individual shops and a colorful gastronomic scene. 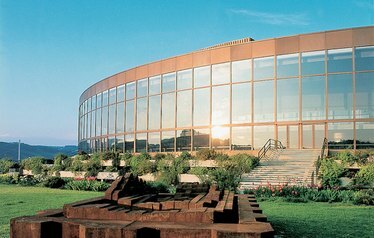 On we go up to the Schlossberg, which offers a grand view of Linz and the Schlossmuseum with its various exhibitions. Visit the Hauptplatz (Main Square), including its Trinity Column. From here you can also go on a city sightseeing tour on board the yellow “Linzer City Express” train. Feel like having dinner above the roof tops of Linz? We suggest the “Brasserie” on the Schlossberg, or the “Pöstlingbergschlössl”. If you prefer a more grounded atmosphere, we recommend the traditional Klosterhof where you can experience the city’s most beautiful beer garden. After a good night’s sleep in Hotel Kolping and a visit to our extensive breakfast buffet, you are ready to start your exciting, second day. A visit to the Hauptplatz with its Glockenspiel carillon chimes and the Trinity Column. From here you can also go on a city sightseeing tour on board the yellow “Linzer City Express” train. After two days you will be sure to return home with many new impressions. In case you are interested in staying two nights after all, you can find out more about our Adventure Weekend offer. 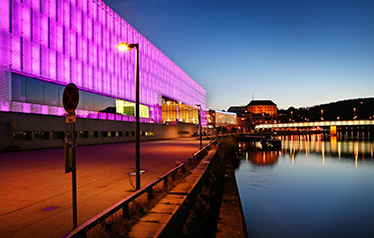 All current events for planning your weekend in Linz can be found here. The prices are per person and package as listed above, including taxes, excluding city tax of € 2, and apply to people at least 16 years of age. The offer is valid on all weekends as well as holidays and school holidays in 2017, depending on availability. Cancellation policy: the reservation can be cancelled without penalty up to one day before arrival.